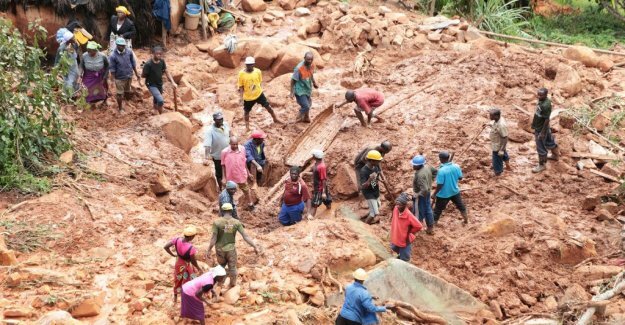 On Tuesday, eleven days after the storm pulled out of Mozambique, the struggle workers still to grasp the scale of the disaster and to save the sufferer's life.
" Some are in critical, life-threatening situations. Some have sadly lost their livelihoods, which is a tragedy, but not immediately life-threatening, " says OCHA's coordinator Sebastian Rhodes Stampa, of the affected. find themselves in temporary camps in Mozambique, according to information from the authorities on Monday. The official death toll was then still the 447 people. The storm also took at least 259 lives in Zimbabwe, and Malawi died at least 56 people in the torrential rain that fell before the Idai pulled in. the Swedish Authority of civil contingencies agency sent last week, down relief personnel to the affected area.